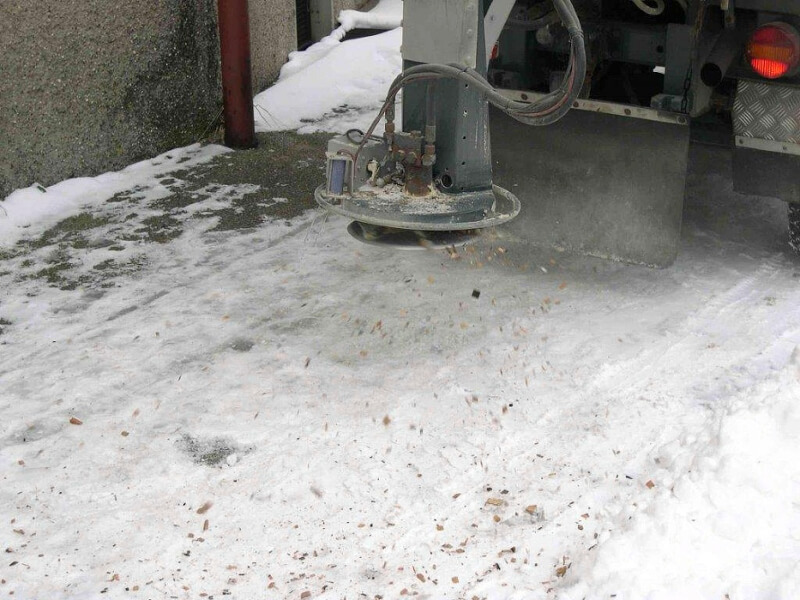 Stop Gliss Bio offers an ecological alternative to the use of salts and mineral chippings for the treatment of snowy or icy surfaces. 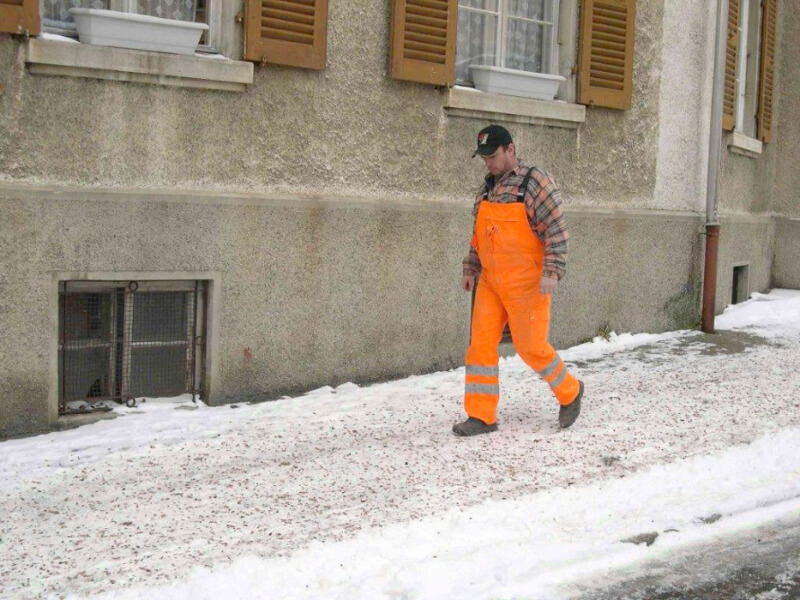 This anti-slip material, invented and developed by the City of La Chaux-de-Fonds in Switzerland, adapts to pedestrian paths (sidewalks, pedestrian roads, squares) as well as low-traffic pavements and used by light vehicles (garage entrances, residential areas). 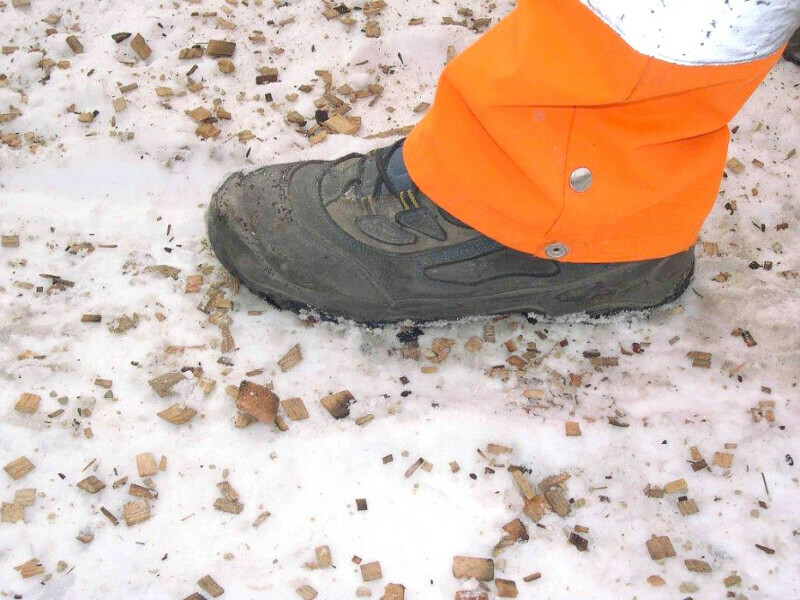 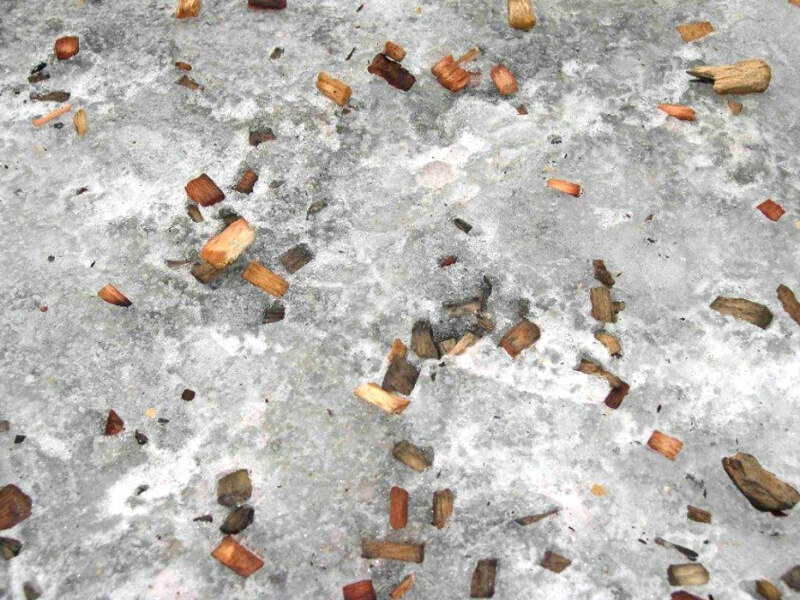 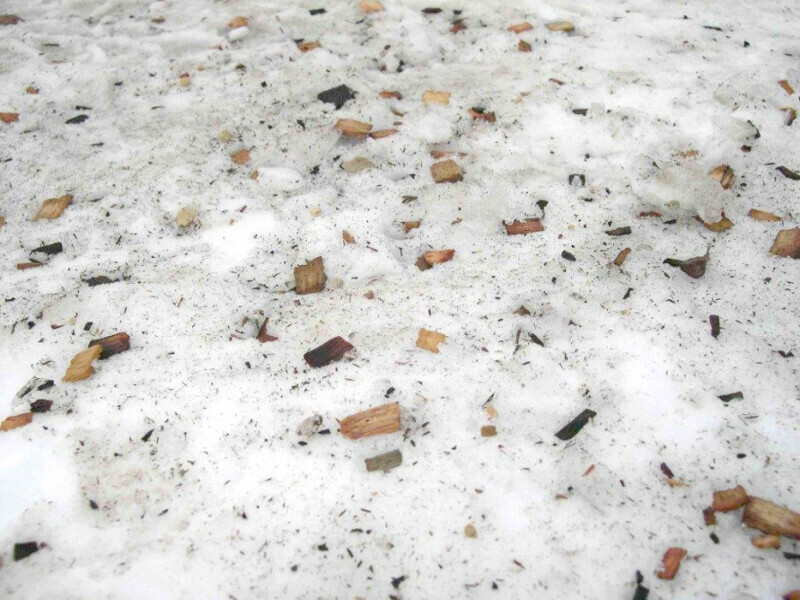 The product consists of wood chips - 5 to 20 mm long - impregnated with magnesium chloride brine. 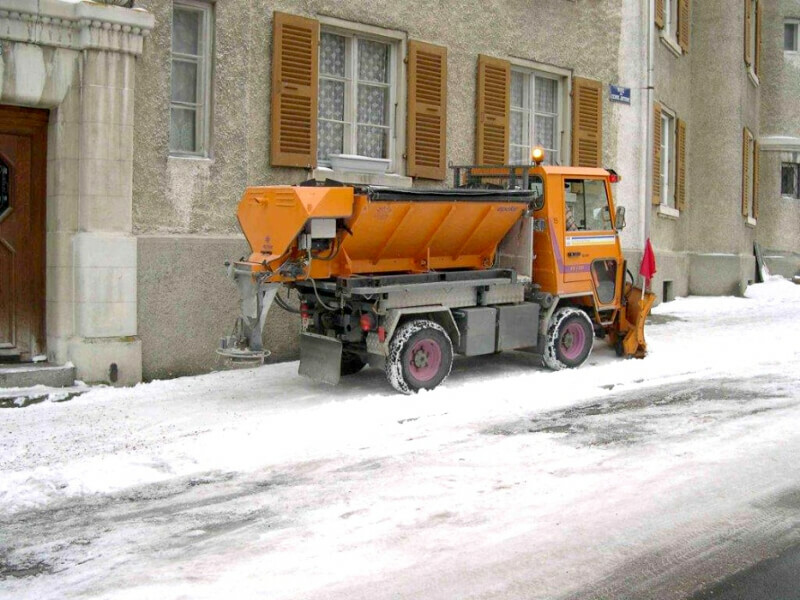 The moisture content of the material is more than 40%, which gives it a quick response to contact with the snowy or icy surface.